White-out days? Snow deeper than his waist? 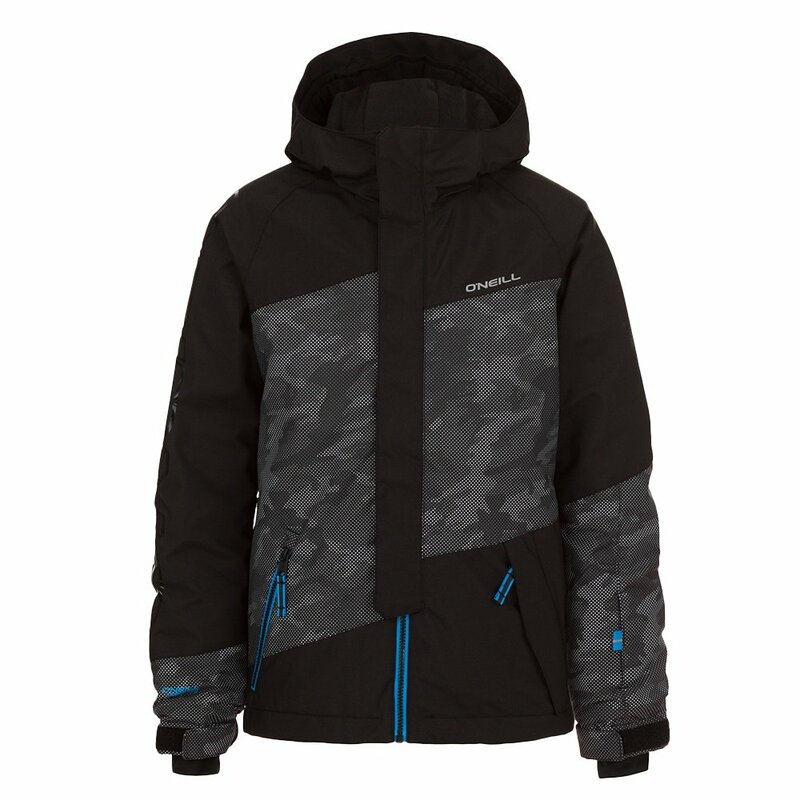 No problem at all, as long as he's rocking the O'Neill Thunder Peak Snowboard Jacket. This regular-fit jacket has room to layer underneath its waterproof outer layer. Plus, it'll fit season after season, thanks to the extendable cuff system that grows the sleeve length if he gains a few inches over the summer. In deep snow, the snow gaiter and bottom hem adjustment will help keep snow out. And when the snow's falling, the 10K waterproofing rating on the Thunder Peak jacket will ensure moisture drips off - not into - this comfortable boys' snowboard jacket. An adjustable hood, hem, and cuffs create a tight fit to keep snow out. 120g of insulation on the body keeps his core warm, which helps the rest of his body stay toasty. Firewall Magma technology uses a thermal, energy-absorbing pattern to reflect body heat back onto the skin.